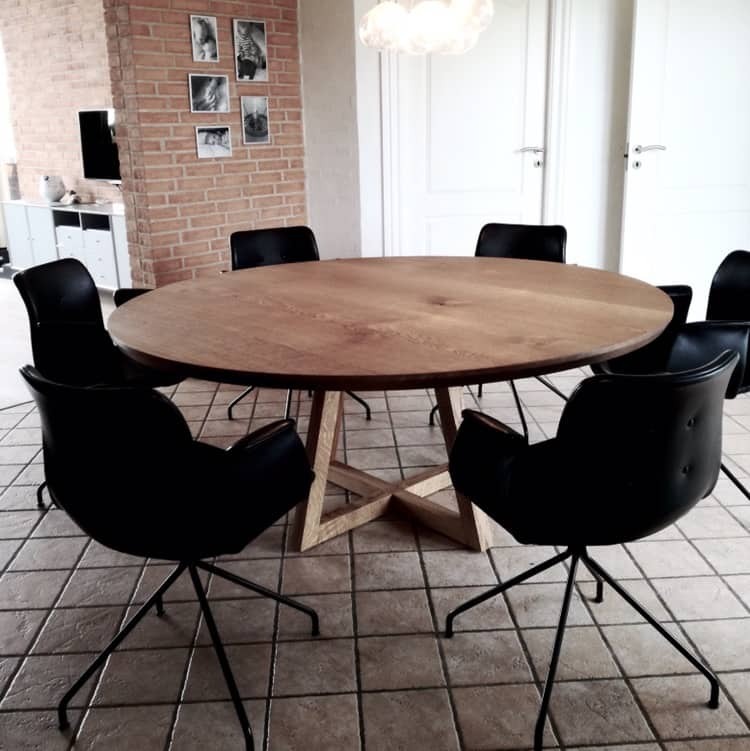 If you are looking for a round table made of quality wood, then look no further. 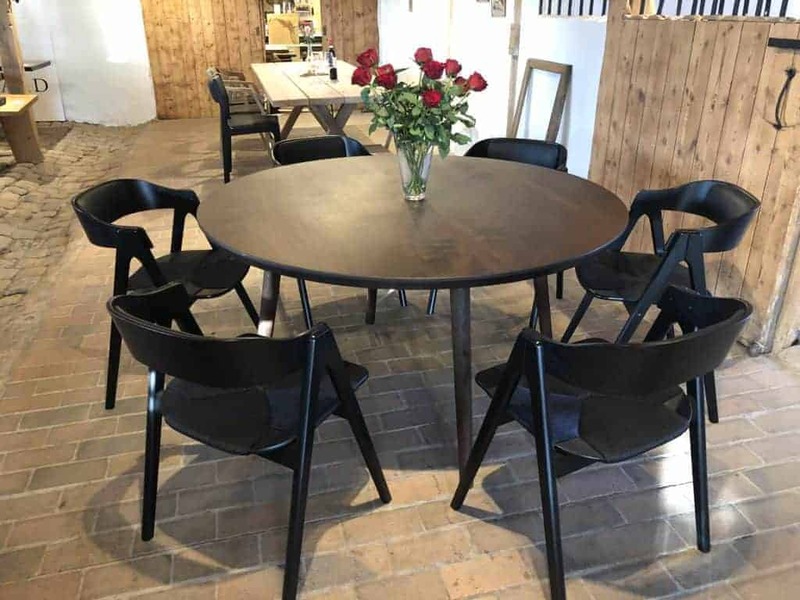 A round table fits perfectly into a conversation room, where everyone around the table can see and talk to each other. 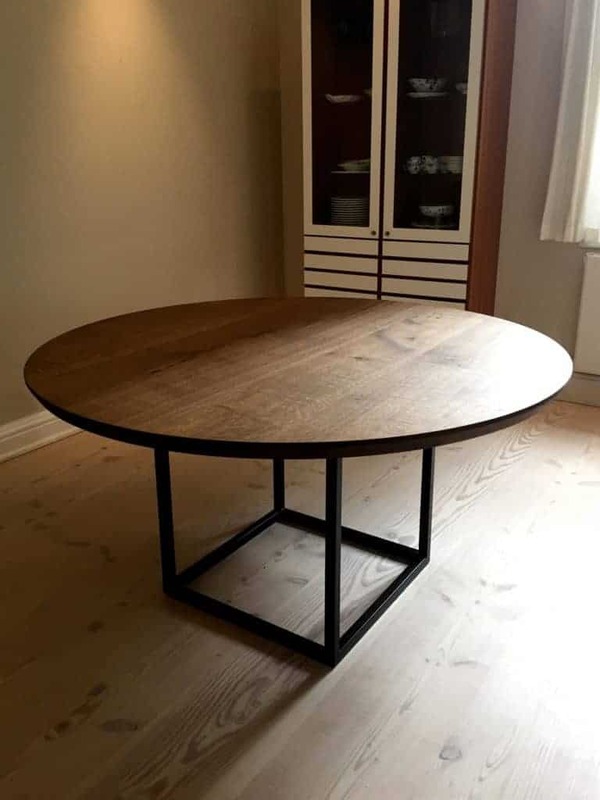 At Kærbygård, we can create custom round tables based on your dimensions and design. Before production begins, we can make a 3D drawing to show you how the final piece will look. We want to make sure the table lives up to your wishes and expectations. At Kærbygård, we always have a large stock of kiln dried wood. The expression of the wood differs greatly, depending on where from the log it is cut out from. Therefore, it is important we find out what you like about the tree so that we can choose the tree that suits you. You can also select the wood on the farm's sawmill. 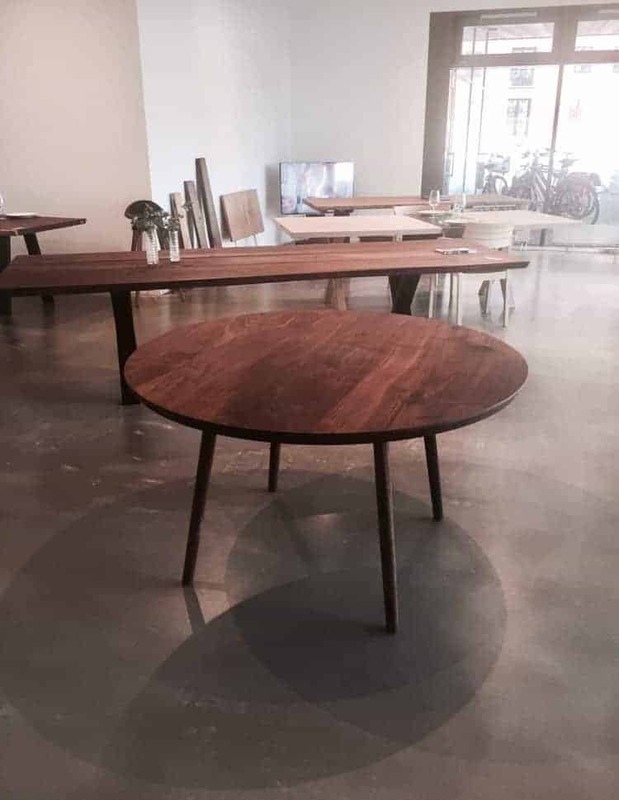 Contact us or drop by one of our showrooms for a talk about your furniture piece.